According to Chad Brooks in his Business News Daily article, social media is the most favored form of contact small businesses use to reach their audience. 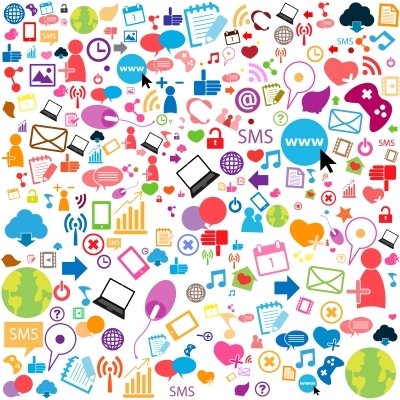 Through social media, you can connect with your target market and build trust for your brand in a more personal way. I believe this, too. From the viewpoint of a user and consumer, I can understand the frustration when you can’t find points of contact with your favorite store, brand or service, and then you start wondering why, which usually doesn’t end with good conclusions or assumptions. Making it in social media means you have to be searchable and active in the big sites such as Facebook, Google+ and Twitter. What’s not so hot about all these platforms is having to manage and update them individually. 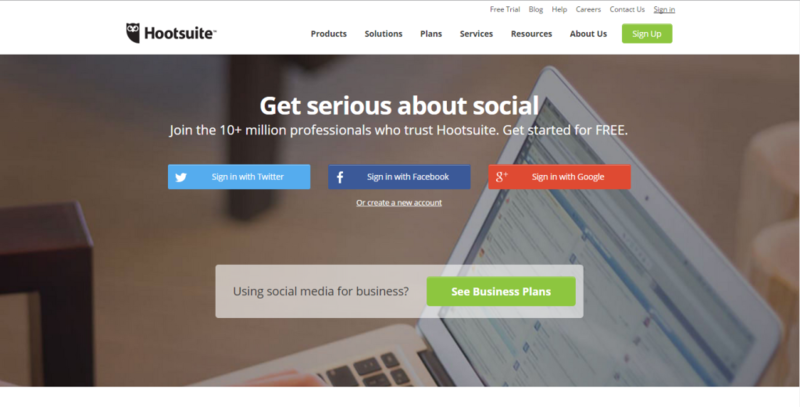 Enter Hootsuite, the app that can integrate your various social media pages into a single dashboard, allowing you to post, schedule posts and monitor updates from a unified platform. If you want to give this a try, Hootsuite has a free account that allows up to three social profiles with basic apps integration. 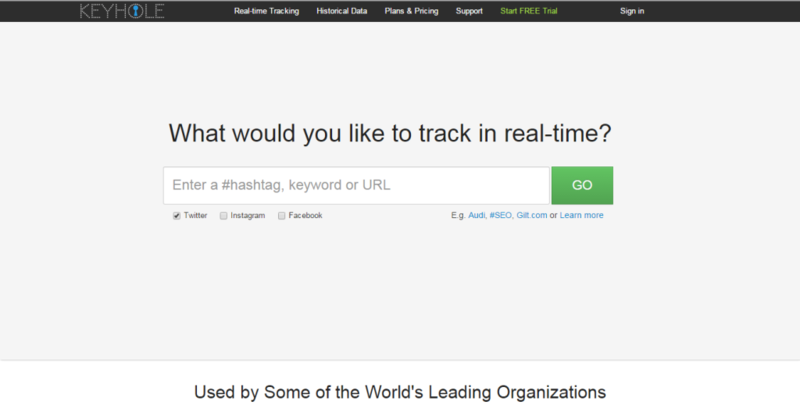 Hootsuite Pro, on the other hand, allows 50 up to 100 social profiles. It can be sampled for free and starts at $8.99 a month once the trial period expires. Their Enterprise package price is available upon request and offers unlimited message archiving, including a dedicated account representative and enhanced technical support. Have you ever wondered how useful or impactful all those hashtags and keywords really are? Keyhole shows you visual analytics on those in a single dashboard, helping you identify contextual influencers, track activity volumes around campaigns, discover the most engaging content (yours or otherwise), which can be useful insights for your branding strategies. To share live data with colleagues, download the data in CSV and XLS formats, or simply share the URL and they wouldn’t even need to log in. Keyhole offers a free three-day trial for all packages. If you’re a blogger, you get a full month free. Upgrades start at $129 per month for three tracks. Aside from shortening your links and demonstrating powerful insights from its mother lode of link-sharing data, Bitly has a unique feature called the Real-Time Media Map. Through this map, you can visualize Bitly data by location, media type (e.g., newspapers, TV/radio, magazines and online only), media properties (e.g., The New York Times, Washington Post, Wall Street Journal), among others. Bitly’s URL shortening and sharing package is free. 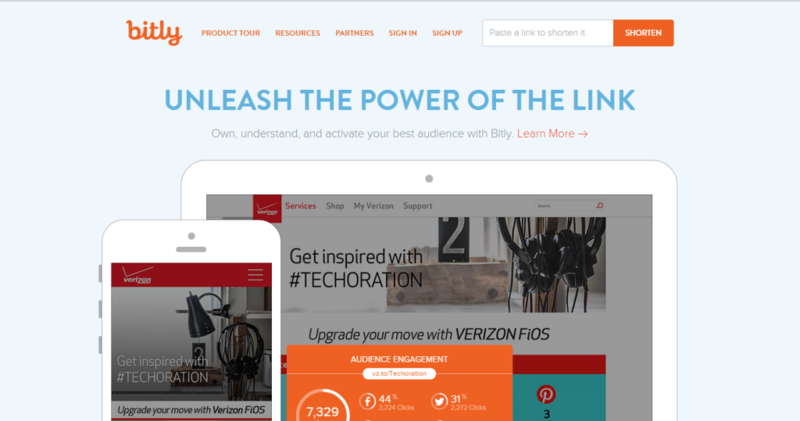 The Bitly Brand Tools subscription, which includes custom links, enterprise/team management, workflow integration, branded short domain, and others, starts at $995 per month. 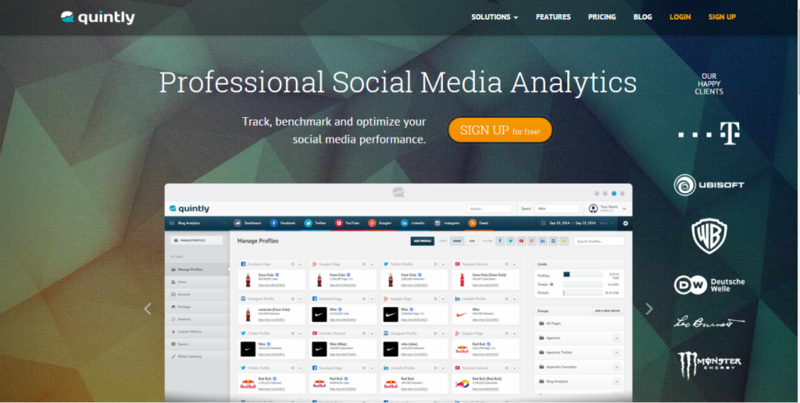 Quintly lets you measure your social media numbers and benchmark them against your competitors, so you can devise a more appropriate marketing strategy, if need be. Your social media reports and analytics can be automated, leaving you more free time versus manually checking KPIs (key performance indicators) for every social media account. Quintly offers a 14-day free trial for all of their packages. Subscription starts at $69 for the Small account, which can accommodate up to seven profiles and three dashboards. Medium is priced at $199, and Large costs $399. 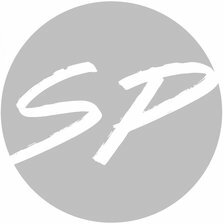 Pricing for custom programs is available upon request. What other tools can you add to the list?